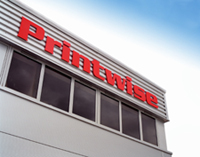 Construction of a 1,220 square metre (13,132 square feet) high office content print works and warehouse for Printwise (Haverhill) Limited, a long established print and design company incorporating full publishing and book binding facilities. Printwise wanted top quality management office, design studio and General office facilities combined with modern printing and warehousing accommodation. 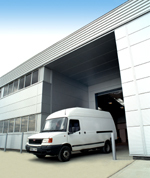 They now have their production facilities ideally located beside the studio and production office functions. Management offices, meeting rooms, accounts and conference room are located at first floor level within the offices. Construction commenced on the 14th January 2002 as a greenfield site. 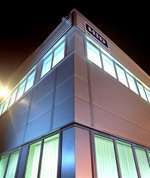 The buildings on Phase One were completed on 31st July 2002 and the tenant was already in part occupation of the production areas by 18th July 2002 with the offices occupied by mid-August. Total project time from start to tenant moving in: 27 weeks.